€40 million is being made available for improved sports facilities under a new round of the Sports Capital Programme. 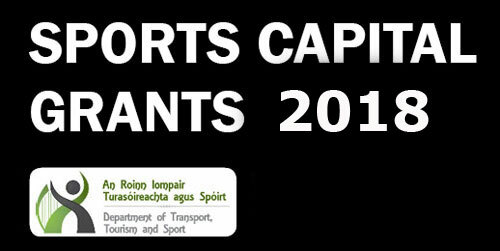 A new round of the Sports Capital Programme was announced this morning and applications can be made online from Friday 7th September until Friday 19th October. Many sports clubs in County Galway have upgraded their facilities under this programme in recent years but a large number of clubs have plans to further improve their facilities and will be delighted to learn that a new round of funding has been announced. Those making applications should note that changes have been made to the assessment methodology to ensure that the number of invalid applications is minimised. Greater priority is also to be given to clubs in disadvantaged areas and projects that promote the sharing of sports facilities with other clubs in the wider community. The programme funds a variety of works including natural and artificial pitches, tracks and courts, including pitch drainage, floodlighting, security fencing, ball stop netting and goal posts, hurling walls and handball alleys, the refurbishment of dressing rooms, sports halls and gyms and the purchase of equipment such as lawnmowers and defibrillators. All applicants must be registered on the Department’s online system and I would encourage any clubs which are not already registered to do so now. The guide to making an application was also published on the Department’s website today on www.sportscapitalprogramme.ie. Registrations will close at 5pm on Friday 5th October. A guide to making an application and a link to YouTube video instructions is also available on the Department’s website.